Bowling Tournaments: Lilac City Tournament Inc. Bringing you the best in amateur bowling competition for over 50 years! We're gearing up for the 51st year of the Lilac City Tournament! Welcome to the website of one of the Largest Independently owned Bowling Tournaments in America! Our 50th Anniversary in 2018 was an outstanding year! Thank you to all of our bowlers for making it special! The 2019 tournament is already on a path to exceed last year with increased reservations already made. 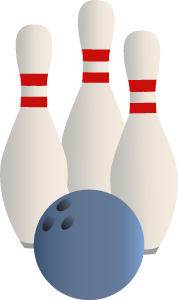 Again this year, our Team Event and Lilac No-Tap will be held at AMF Dewey Garden Lanes, 4470 Dewey Ave, Rochester, NY 14612. Our Doubles and Singles Events will be held at AMF Gates Lanes, 645 Spencerport Rd, Rochester, NY 14606. Thank you for all the positive comments on our new Team venue! A Special THANK YOU to the LADIES! The Women's Events showed the largest increase in participation this year than ever before. WAY TO GO LADIES!! Seems they also have the most fun as well! Keep up the trend until all of us men realize who the real bosses are! The Entry forms for both of our tournaments are available here on the site as a .pdf download. I encourage you to check back often and visit our Facebook Page for information and Lilac updates. As always we sincerely appreciate the support and interest from all of our bowlers! Over Half a Million Dollars Paid Out in Lilac Events Annually! !